MacJunk will get it out of your way! 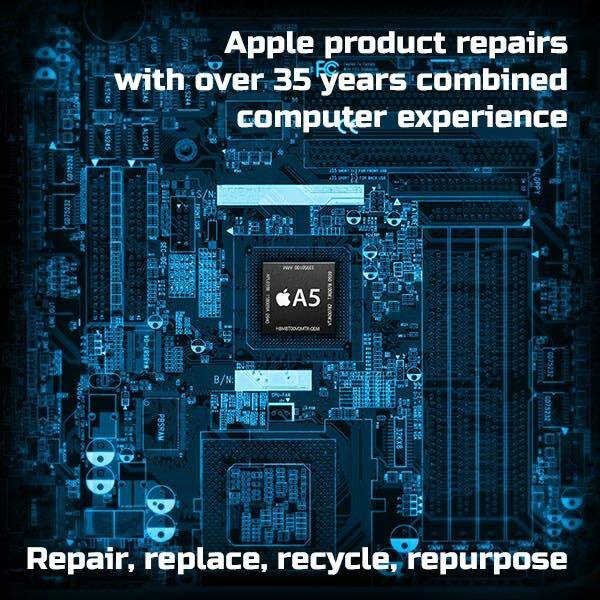 MacJunk experts have provided solutions in Macintosh hardware repair, refurbishment and reconditioning. Originating in the Dallas Fort Worth (D/FW) area, MacJunk has relocated and expanded in 2018 to cover both the Atlanta Metropolitan Area in Georgia, as well as the Austin Metropolitan Area in Texas. From hard drive upgrades to component replacement, MacJunk experts can offer individuals and businesses local and honest repair services. Many of our recent solutions include Cloud Technology for effective file backups, sharing and collaboration, as well as the latest in popular software titles from Apple, Microsoft, and Adobe. Place A Request Online Now! 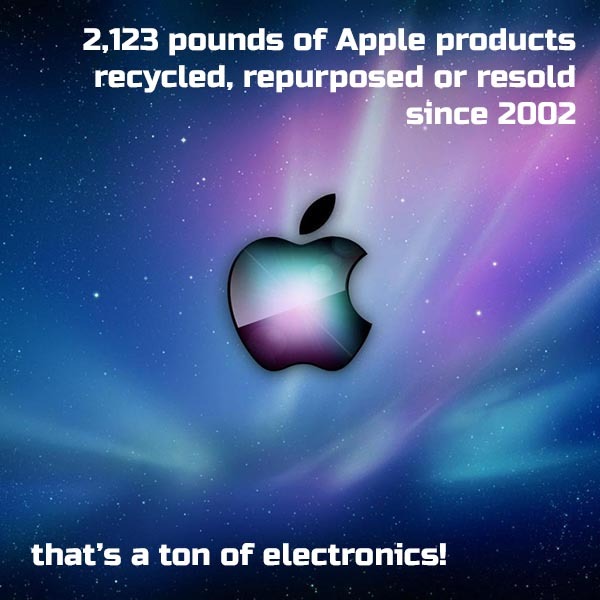 MacJunk will schedule a pickup of your old Apple equipment. Items with data sensitivity (hard drives or other storage media) are handled with the utmost security, following HIPAA Guidelines. Working hard drives are reformatted (low-level/zero bits) then disposed of in an environmentally-friendly method. Non-working hard drives are disassembled and destroyed to insure no data stored within them is accessible. All of our disposal is EPA-compliant. Data Recovery and Backup: Recover lost data or play it safe with a regular automated backup! Hardware Upgrades: Ditch that old hard drive for a larger and faster one, giving your computer faster response times! Hardware Tune-Ups: Clean up your hard drive to keep it operating at peak performance! MacJunk technicians are certified by Apple Computer. MacJunk assumes no responsibility for the integrity of the data found on repair units. Clients are fully responsible for backing up and removing any sensitive data prior to a MacJunk repair or pickup. Due to the nature of software issues, MacJunk cannot accept responsibility for continued software issues after a MacJunk consultation, since software and software settings are always changing from continued use of the hardware. MacJunk may make recommendations on the processes and uses of a system. Repair work is typically billed half up front and half on completion (prior to delivery). MacJunk reserves the right to adjust this policy on a case-by-case basis. Due to the nature of digital delivery, items such as Apple Service Guides and Resource Guides are non-refundable. MacJunk does not cover shipping costs. Clients are responsible for the delivery of items to us, and will pay to have those items returned. All items are shipped insured to protect your items in transit back to you. PDF Apple Service Manuals are intended for reference only and are recommended for those that have a strong understanding of the risks and tasks involved in repairing their own equipment. MacJunk cannot accept responsibility for damage to equipment or injury to clients that attempt self-repairs using our Apple Service Manuals. Each product offered on MacJunk will be described to the best of our ability, therefore, all products and parts are sold as-is. Items that are noted as known working or good operating condition will be guaranteed against DOA ("dead on arrival"). Parts that are noted as "failed" or non-working will be described as such and are made available for the purpose of salvaging smaller parts or self-repair. It is advised that each customer read a parts or product description fully before purchasing. MacJunk will never share the information you provide to us both in your product orders or your inquiry forms to anyone else. Information provided to MacJunk is used solely to fulfill orders or reply to these inquiries. Apple Computer and the Apple Logo are Trademarks of Apple Computer, Inc.